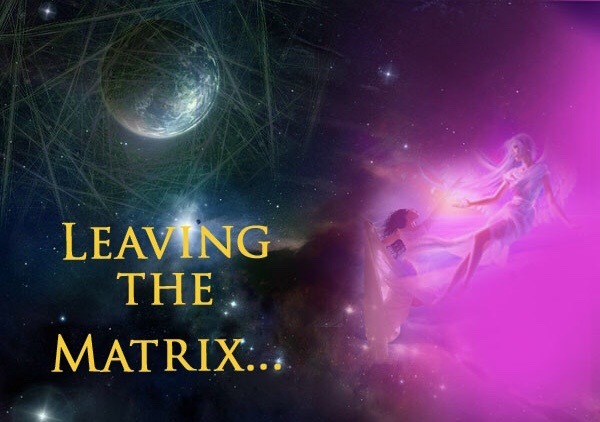 In my previous lesson entitled, Twelve Powers of Man – Introduction, I went on to explain the basic principles of 12 faculties of the spiritual self. I encourage you to read that one first before continuing on. –Faith: The perceiving power of the mind linked with the power to shape substance. Spiritual assurance; the power to do the seemingly impossible. 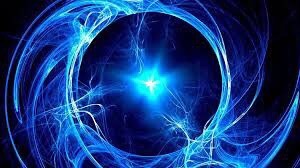 It is a magnetic power that draws unto us our heart’s desire from the invisible spiritual substance. Faith is a deep inner knowing that what which is sought is already ours for the taking. – Work (object of): The true object of all work is to express the powers of one’s being and to benefit mankind. – Work in consciousness—Is to erase persistent forms of manifest negations through the increased use of denials and affirmations is often necessary. Man does the works that Cosbro did by entering into the same consciousness that He was in—the realization of oneness with the Father. – Truth: The Absolute, that which accords with God as divine principle; that which is, has, and ever will be; that which eternally is. – Worship: When one worships, he bestows his love on, or identifies himself with, the things of Spirit. Worship represents the efforts of man to sustain a right mental attitude towards God. – God: The almighty One; the Creator; the ruler of the universe; the Infinite; the Eternal. God is not person but Principle. He is the underlying, unchangeable Truth ‘with whom can be no variation, neither shadow that is cast by turning; (James 1:17). God, as principle is absolute good expressed in all creation. When man know God and worship Him ‘in spirit and truth” (John 4:24), they recognize Him as this great goodness, omnipresent, omniscient, and omnipotent, “Blessed by…God…the Father of mercies and God of all comfort”. (II Cor. 1:3). – God is that from which all love springs. His character is taught in the name Father, representing the love, protection and providing care of God for man, His offspring. He is life and love and wisdom and power and strength and substance. – Substance – An idea in Divine Mind (see absolute); and attribute of Being. It is the spiritual essence out of which all things are made. 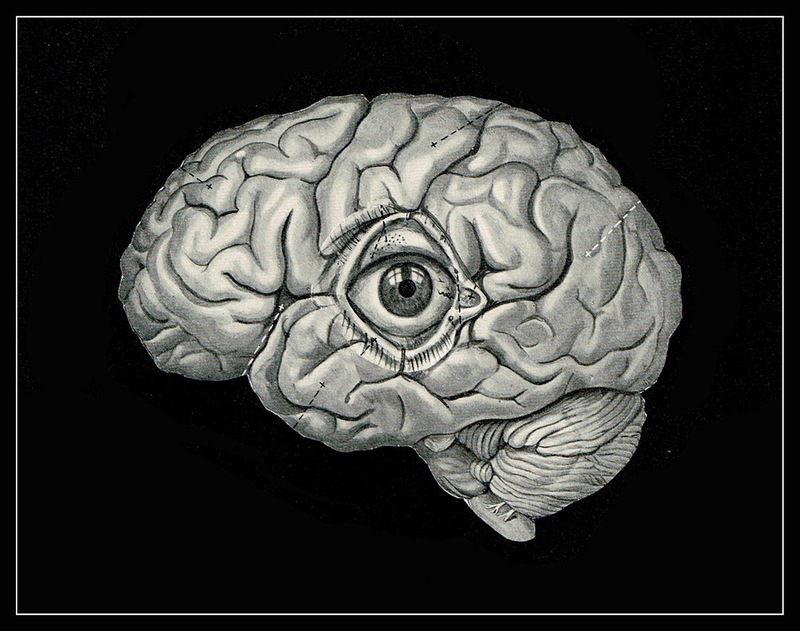 It is visible and comprehensible to mind, but the five senses of man cannot apprehend it. – Omnipresence: God is Mind. The one Mind contains all, and all ideas exist in the on Mind. God is everywhere present. There is no place where God is not. He is in all, through all and around all. Omnipresence is a spiritual realm that can be penetrated only through the most highly accelerated mind action, as in prayer. – Omniscient: All-knowing; infinite knowledge and wisdom. Divine Mind is omniscient. It knows all. – Omnipotent: Infinite power. God is infinite power. All the power there is. All-powerful. – Omni: All; in all ways, people, places, things, etc. ; without limits. – Goodness: Reward of—There is always a saving grace in divine goodness; and if we have ever done a kind act, it has been preserved in the careful records of memory and will come forth when we most need it. – Church: The word church is derived from the Greek word meaning “ The Lord’s house.” The individual’s consciousness is his Lord’s house, and assembled with in it or groups or aggregations of ideas (thought centers). The spiritualized will carries to the different”churches” (thought centers) The word of truth and build them up on a knowledge of their perfection and divinity by training them in spiritual thinking. – Church of Christ: Spiritual consciousness, first individual, then collective. In the general usage the word church applies to persons who have been “born anew” (John 3:3) through the quickening power of the word, gathered together in one body, their union being typified by the human body. – Powers: Man’s innate control over his thoughts and feelings. 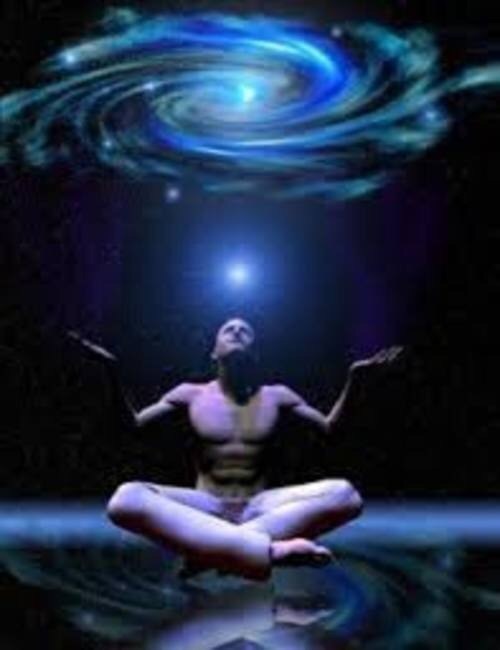 The mind and the body of man have power to transform energy from one plane of consciousness to another. Ma n is the power of God in action. More often than not, many of us mistake faith for belief and trust in God; but allow me to assure you it is not so. Faith in its truest sense means saying “Yes” to God, Truth and good. However, in order for one to say ‘yes’ to God, it is imperative to trust God’s Words by believing in God’s promises to us. Faith is not something that needs acquiring but a principle that must be exercised, practiced and built from. It is the faculty in which the invisible becomes the visible and changes possible good into actual good. Faith is the direct manifestation process of good in our lives. Faith operated from the spiritual realm is exercised greatly in our early years of life. Then as we grow and have more experiences our exercise in faith dwindles as we begin to take on false beliefs of what is that we call reality. For example, when we are babies we do not worry about when our next meal is coming, who is going to change our diapers, where our clothes are going to come from, nor who is going to take care of us if we should get sick. Instead, all we do is cry a distinctive cry and our needs are attended to. As a baby there are no worries, concerns or doubt but instead there are only desires. Desires that are EXPECTING to be fulfilled. We have an instinctual expectation of being taken care of and this instinctual expectation is the exercising of faith; it is an attitude of yes to God, good and truth. It is an assurance all is well and everything is working out for us. This is why it is said in the Bible that we must revert back to a childlike state. The message in this parable demonstrate that we as spiritual consciousness must not look towards man to for fill our needs, but to our Spiritual Father. In other words as spirit God is our Father (the Provider for spirit), where as man, our biological dad is our father (provider for the human body). And when you exercise faith, you are knowing, recognizing and FULLY accepting God/Source Energy as your provider for all of your needs in both the physical and spiritual realm. One must come to understand that faith cannot be exercised by one who believes they are human-beings but only by those who know they are souls having human experiences. The spiritual self knows there is only One Power and that power is that of God’s. We must return back to the spirit self (Christ—consciousness) and reclaim God as our one and only caretaker. What I’m about to share may be a hard pill (all pun intended) to swallow but it’s just the remedy needed to remove the infectious veil that has unknowingly been placed over your mind’s eye through your lifetime. It will shake YOU at your very core. While many will read what I’m sharing they will not understand. They will reject it; some will make mock of it. And that’s alright as it is to be expected. Didn’t Christ, being who he’s portrayed to be, face rejection? Hell, he not only faced rejection but persecution, prosecution, ostracism and ultimately execution. So who am I to believe I’ll experience different. I’m just blessed to be living in an era where I am able to exercise my God given freedom of speech to teach God’s promises, freedom of choice to choose in which manner I do it. And my freedom of will to serve mankind as my Father directs. So yes, I AM BLESSED! If I’m to speak frankly, I’d say I’m spoiled. There’s nothing my heart desires that my Father doesn’t give me. Even if that something asked for turns out to be something I’d rather not have had—experience wise. So before I can show you how to strengthen your faith consciousness it is imperative that I introduce you the Isness you must have faith in. God/Source Creation. Putting great thought as to how I would enlighten as to who God is, or more accurately ‘What’ God is, I thought it best to begin from the perspective. In other words, the spiritual version of Adam and Eve. And since a shift in your paradigm is in order, I believe this is the best method of doing so. In the first beginning of all beginnings was a Supreme Being called “God”. And God was the invisible presence that was the ONLY presence present. Aside from this Presence no thing existed. That is until the first desire for expansion. God, with nothing but the Self to create from and with began making the invisible visible with just the Word. With the Word universes were created and planets alike. Life began to take shape and form. As God continued to create various forms of life, God thought it best that human intelligence would assist in Its expansion by utilizing the same method used in the original creation of life (the Word). God formed Its first child and from out of Itself emerged Seoul. Seoul, like God, was too formless; an infinite omnipresence. But as spirit Seoul couldn’t fulfill God’s desire for expansion, because as spirit, Seoul had no desires. Seoul would have to experience contrast (things unwanted) so that things desired can come into existence, causing God to expand. Remember God creates from Itself and if what God created creates, God would expand more. God then took Seoul (pure consciousness) and gave it awareness of a human body. In addition to awareness, Seoul was blessed with three gifts—Freedom of choice; Freedom of will; and, Freedom of speech. But check it, not only was Seoul given awareness of the human body and gifts, God made sure to arm Seoul with 12 powers to co-create with as well! And these powers were not human powers but supernatural! These abilities were so supreme it did not require any use of the human body. In fact, it was far beyond anything physical. However, the most important power given was that of faith! Upon Seoul’s awareness of the human body, his remembrance of its true nature, that of spirit, began to diminish each passing moment. Eventually, Seoul began to believe it WAS the body. But this was by no means an error on God’s part. It was inevitable Seoul would lose sight of its True Creator. In the beginning there wasn’t a manual on life but one wasn’t required. Survival was instinctual. Unfortunately, fear was a part of the survival instinct. The very thing that was the main component ensuring Seoul’s existence would be the very thing that kills it. Sometime later, other spiritual beings began occupying planet earth, with which whom Seoul interacted with. They too, created by God in exactly the same manner Seoul was created, also encompassing the same gifts of freedoms, powers for co-creation and yup you guessed it—FEAR. Each spiritual being came with unique perceptions, various levels of understanding, different desires and their own ulterior motives. One planet encompassing a plethora of variety. And as time went on, other beings began to fall into a spiritless slumber. Overtime spiritual—beings identifying more and more with the human body—and baby spirits grew to believe they were human with a soul. Fear became so deeply rooted many beings became destructive in their behaviors. Affliction towards each other became rampant. Earthly desires formed and with them, greed. Death was feared and Life forgotten. Seeing Its children suffer the fate of their own creations, God created a soul —being and formed it as man. He was to give them clear and precise instructions on how to become better co—creators. God called him Cosbro. Now Cosbro’ birth was different from the others. Cosbro was born as man but remembered he was Spirit. He came specifically to remind them of who their true Father was and what was promised to them IF they followed the instructions given to the letter. Cosbro held classes for all to attend but the majority of the spiritual—beings were so into their sleep, they had trouble staying awake. Some heard Cosbro’s lessons but didn’t retain the messages. Others saw examples but still shut back their eyes. While those who were rested paid close attention. The more Seoul learned, the more Seoul began to remember. But still, Seoul struggled with the information Cosbro was delivering. His human mind held memories that it couldn’t easily let go of. Especially since his eyes told a different story than the message Cosbro was delivering. Observing this, Cosbro one day asked Seoul what was causing him inner conflict, to which Seoul replied, “It is hard for me to wrap my mind around the fact that the father I’ve known all my life is not my father and He who is my Father cannot be seen but I’m supposed to have faith in Him”. Cosbro, finding Seoul’s ignorance a bit amusing chuckled and said, “My dear Seoul, our Father cannot be seen through the eyes of the human body but is known through the spirit which you are.” Perplexed, Seoul asked, “If I am not the body, why is it that it appears that I am”? Cosbro drew Seoul’s attention to a car parked curbside and asked, “Seoul, look at the vehicle parked over there, when you are in a car, do you become the car”? “Of course not! That would be silly.” Seoul replied. “How do you know?”, asked Cosbro. Becoming annoyed with Cosbro’s questions which didn’t seem to lead to the answers he had, Seoul responded,”You know, for someone who is supposed to have all the answers, your question seems foolish. Cosbro didn’t reply. Instead, he waited patiently for Seoul’s response. Seoul getting the hint answered, “I knnnooooow I am not the car because I wasn’t born in one”. Noticing Seoul wasn’t aware of his answer given, Cosbro asked him to repeat his answer again and Seoul did. But this time, however, it hit Seoul like a ton of bricks and he barely audibly repeated his answer to himself, “Because I wasn’t born in one”. At THAT very moment something unfamiliar began and Seoul experiences a complete paradigm shift! Seoul’s life was never again to be the same…TO BE CONTINUED. Be sure to subscribe so that you will be able to receive the Law/Word of God so you may be able to create a life full of live prosperity, abundance and meaningful life!